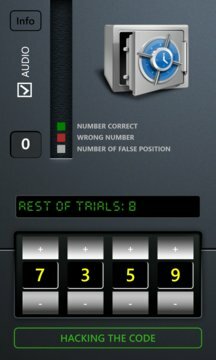 Code Hack is a little number game. 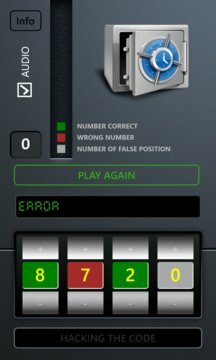 To open the safe you have to use all of your brain cells and figure out the right combination - but don't worry, the code hack app supports you by providing useful tips. But it stays up to you, whether you're able to open it or not. In the first version the app is limited to only one game mode with the following versions it is further extended.